The Edinburgh Festival is the biggest arts festival in the world, attracting over a quarter of a million visitors to the capital every year. Factotum have been providing accommodation for performers, administrators and visitors for over 30 years. Each festival, our dedicated property management team successfully manages hundreds of lets across the city. If you want to be in the heart of the action we have properties in the Grassmarket, The Pleasance, or the medieval Old Town. Rent a townhouse in the beautiful New Town, a flat in historic Holyrood or a loft in Leith. We have some fantastic properties. How long does a Festival Let last? The contracts lasts for a minimum of one week up to six weeks during July, August and September. Price quoted is for the monthly rental, inclusive of Council Tax and reasonable use of utilities. This is adjusted accordingly for weekly lets. All festival properties are furnished with self-catering facilities, bed linen and towels. For landlords, it’s an ideal opportunity to benefit from significantly increased weekly rental income, while also escaping the busiest month in Edinburgh. For tenants, it’s a better way to experience Edinburgh and live in some of the city’s finest properties. Find out more about becoming a landlord here, or use our search below to find your perfect property. This fully furnished one bedroom flat is ideally located in the beautiful Meadows area of Edinburgh. Quiet two bedroom terraced house within 30 minutes walk of the centre of town. The property benefits from 2 double bedrooms and two bathrooms, a well proportioned, bright living room as well as a modern kitchen and dining area. There is also an enclosed back garden as well as front garden. Ideally situated one bed, top floor flat located just 2 minutes walk from Princes Street. The property boasts magnificent views to the south overlooking historic Regent Bridge. The property features a well equipped galley kitchen, cosy double bedroom, and lounge. This property also benefits from wifi. Charming and traditional style basement property with a fully fitted kitchen, recently renovated bathroom, and two spacious double rooms. Located in Edinburgh's New Town, this flat is close to the gorgeous Stockbridge with all of its local amenities and is a short walk to Princes Street. Well appointed basement property with shared patio in the Bruntsfield area of Edinburgh. Property comprises two good sized double bedrooms, one with an en suite shower room. Cosy lounge with dining area and separate, spacious kitchen. This beautiful three bedroom garden flat is bright and spacious. Situated perfectly in the New Town close to all local amenities and bus links, with local bars and coffee shops in Canonmills and just a short walk to Princes Street. Newly refurbished to a high standard and well proportioned 1 bedroom first floor property located on Henderson Row. The property benefits from a bright open plan kitchen/living area with sofa bed, as well as a spacious double bedroom and walk in shower room. Beautiful, modern and airy 2 bedroom flat just a short walk away from the city centre, with retail park and other amenities on the doorstep. Property boasts 1 double and 1 twin bedroom ideal for children with family proportioned spaces. This recently fully refurbished and beautiful house is 10 minutes from Princes Street with easy access to local amenities. Lovely garden / kitchen conservatory overlooking the river, flexible, relaxing accommodation with excellent amenities and facilities. Beautifully decorated one bedroom property, just minutes away from Royal Botanic Gardens and Inverleith Gardens. Property compromises bright and spacious living room with large bay windows, double bedroom with ample storage, bathroom with overhead shower and fully equipped kitchen with dining table. Well appointed basement property situated just off of Leith Walk with all of it's unique shops and eateries. Property comprises of 2 en suite double bedrooms, open plan kitchen and living room, separate bathroom and spacious storage cupboard. Bright and spacious, immaculately presented property comprising of two double bedrooms, living room, bathroom. Fantastic local amenities such as restaurants, bars and shops. Great location whilst visiting the Edinburgh Festival. One bedroom property newly refurbished to a high standard. A short walk from the charming Botanical Gardens with local amenities and restaurants on its door step. Basement flat on open corner site. Property comprises living room / bedroom with pull down double bed and separate single bed settee. Kitchen, shower room and separate WC. Central location. Open sunny basement area. Bright and spacious 2 bed flat on popular Leith Walk. This newly refurbished property comprises spacious lounge with cable TV, well equipped kitchen with dining area, 2 double bedrooms, and a modern shower room. This bright spacious and stylish ground floor apartment is professionally maintained and managed. It is close to Edinburgh's centre and the Castle, Museums, Royal Mile and Holyrood Palace whilst also providing quick connection to tram/train networks. A Grade A Listed Georgian Townhouse that has recently undergone a comprehensive refurbishment to provide a stunning blend of period and contemporary living with accommodation arranged over four floors. Five bedrooms, five bathrooms, gym, utility room, living room, drawing room and dining kitchen. Charming newly refurbished one bedroom property situated in the heart of the sought after area Stockbridge, only a short walk away from local amenities and popular bars and restaurants. The flat comprises of an open plan kitchen, dining and living room. A spacious bedroom with ample storage and shower room. Bright and spacious 3 bedroom second floor property located in Edinburgh's highly sought after Georgian New Town. A fantastic base for a stay in Edinburgh with Princes Street and Edinburgh's Stockbridge area within 5 minutes walk. Also within easy walking distance of all festival venues. Sunny two bedroom first floor flat in Stockbridge. Bright two bed top floor property comprising of a master double bedroom in the attic, a second double bedroom with mattress, living room, large kitchen and bathroom. Situated in the Polwarth area with great views across the city of Edinburgh. Bright spacious flat situated in the the New Town of Edinburgh. This 4 bedroom property consists 3 good sized double bedrooms, one with en suite and one single guest room, a large kitchen/dining room and separate living room. Property is close to local amenities and within walking distance of Princes Street. A perfectly situated, quiet, one bedroom flat in the heart of the New Town. Ideal for a single person or a couple, close enough to the city centre for easy access to the city attractions, the Royal Mile and Princes Street. On a very popular road, this flat offers comfort and style. Fantastic one bed property in the stunning Old Town location literally right beside Edinburgh Castle. This is set at the top of what is known as the Royal Mile, the most historic part of Edinburgh. 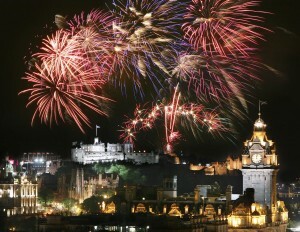 Perfect for people who want to become immersed in the culture that Edinburgh has to offer. Contemporary two bedroom property close to great local amenities and not too far from the centre of town. The property is very spacious and has a light and airy feel. Ideal for anybody looking for the buzz of the Festival without the congestion of being right in the centre. This is a comfortable and well equipped ground floor flat comprising two double bedrooms (one with a bunk-bed), a living room, a separate kitchen, and a bathroom. Visitors can also enjoy use of Sky TV and broadband access, and use of a private (front/side) and shared (rear) garden. Delightful property situated in New Town. Property consists of two bedrooms, kitchen and living room with sofabed. Perfectly situated for a short stay in Edinburgh. Great local amenities, shops, bars and restaurants and a stroll from the Botanic Gardens. Lovely mews flat in the East side of the New Town within a landscaped courtyard. Accommodation comprises reception hall, sitting room/ dining room, fully fitted kitchen, one double bedroom and bathroom with power shower. Flat has wireless broadband which is ideal for professionals on short term contracts. Fabulous top floor two bedroom property situated on the south side of Edinburgh. This modern, bright and airy property comprises of a large living space with dining table, two double bedrooms (although one can be easily converted into a twin) and a well equipped kitchen. Three bedroom ground floor flat in a popular central area. Flat features one main double bedroom and two singles along with a large living room, kitchen and dining area. This property has private access to a garden at the back which is ideal for families that require short term accommodation. Lovely three double bedroom property located in New Town area available for the duration of the festival. This property comprises a dining kitchen room and a large living room as well as a bathroom and separate shower room. This property is in a great location for festival lets. Well appointed New Town drawing room flat. This property is spacious and quiet with open views and features two double bedrooms, a spacious sitting room and large dining/kitchen area. Flat has one full bathroom with shower. The flat has wireless broadband internet and is ideal for professionals or holiday-makers. Well furnished one bedroom apartment in heart of New Town. There is a large open plan kitchen/living room with dining area. It is a spacious and well- equipped property for short term and holiday lets. Flat is suitable for a company let or temporary home for a professionals. Generously proportioned townhouse over two levels in excellent central New Town location. Property comprises kitchen, living/dining room, and shower room plus separate WC. This grand apartment also has five bedrooms: 3 double/twin rooms and 2 single - providing accommodation for up to 8 people. Spacious Georgian New Town first floor property with traditional features and sanded floors. Five double bedrooms, with kitchen/living room. Two shower rooms. Bright and spacious with floor to ceiling windows. Excellent decorative order and all mod cons. Spacious 4 bedroom property centrally located in the Marchmont area of Edinburgh. Within walking distance of the city centre and and the main festival venues. Property comprises of 4 double bedrooms, bathroom and kitchen/livingroom with TV. Ideal for a short term stay in Edinburgh. A bright, modern, first floor apartment situated in the in the historic Port of Leith. Ideally located with lots of coffee shops, restaurants and pubs nearby. Access to the city centre is made easy with the closest bus stop being within a two minute walk. Attractive, bright one bedroom second floor apartment in a quiet location, on a lovely street near the Dean Bridge and West End of Edinburgh and in close proximity to Stockbridge. This flat features one double bedroom, bathroom, living area and separate kitchen. This flat comes with a landline and broadband. Spacious 4 bedroom student flat situated in the heart of Edinburgh. This property comprises of 4 double bedrooms. Ideal for a short stay in Edinburgh over the festival period with festival venues such as The Pleasance and The Underbelly within walking distance. A large, airy flat in a great location very close to the Pleasance and other venues. One full bathroom and one en-suite. This is a main door property on two levels with a new kitchen/sitting room and four double bedrooms as well as a box room/study. Power showers in both bathrooms and garden to from and rear. Very central bright and spacious two double bedroom property comprising kitchen/ dining room, good sized living room, one full bathroom and one en suite. Secure private parking is an added bonus and lovely shared gardens to the back. Non smokers only please. The property is very central with good amenities to hand. Well proportioned quiet flat located just 20 minutes walk from the very centre of town. This 1 bedroomed property is also Recently re-refurbished with bright comfortable decor. A warm main door flat in the heart of the New Town. This fully modernised and decorated property comprises of living room with bay window, three bedrooms, with the added benefit of three bathrooms and a sunny patio at back. The property has Virgin Tv and broadband. This property is a must see. Very central high end 3 bedroom property perfectly situated for festival venues and with Edinburgh's best restaurants and pubs in close walking proximity. Modern furnished three bed apartment situated in the Stockbridge area of Edinburgh. A 10 minute walk from Princes Street, this property comprises of one double bedroom, 2 single bedrooms and an open plan kitchen/livingroom. The property boasts broadband and private parking. Fantastic three bedroom property located in the heart of New Town. Comprises two double bedrooms and one smaller single bedroom, a fantastic lounge with a table seating six and a fully equipped kitchen adjoining a charming balcony. Beautifully furnished 3 double bedroom (one en-suite) ground floor flat in Marchmont. Flat features three spacious bedrooms, a bright lounge and separate kitchen as well as two bathrooms. Ideally situated within walking distance of the Meadows and festival venues. Recently renovated three bed first floor flat located on the quiet cul-de-sac of Gillespie Crescent. Nestled on the edge of Bruntsfield Links with fantastic local shops, cafes, bars, good public transport links and within walking distance of the city centre. Stunning furnished garden flat situated in the heart of the New Town. This basement property comprises of two large double bedrooms and a small study/nursery, two bathrooms, kitchen with a huge open plan living area.